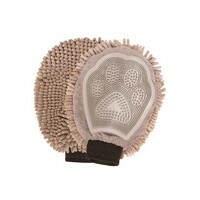 The soft and gentle Dirty Dog Grooming Mitt dries your dog and removes excess hair. 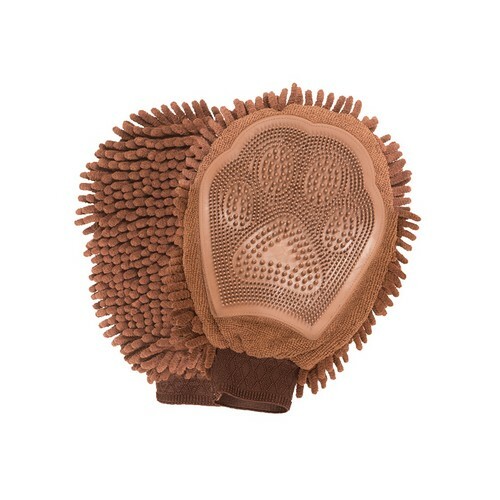 Absorbs 10X its weight in water and dirt whilst the ultra-plush microfiber fabric massages your pet dry. 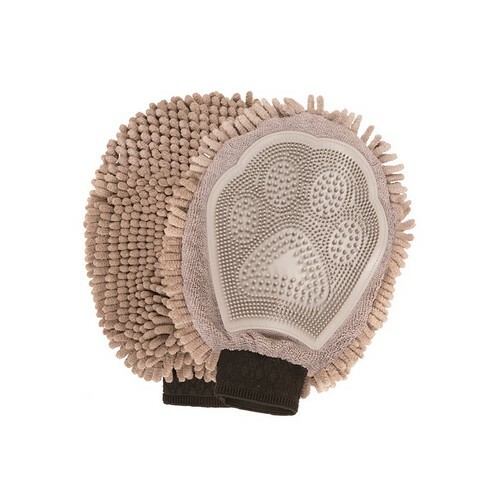 With quick drying gentle rubber nubs to trap and remove dirt and excess hair, the grooming mitt can be used on short or long haired dogs. Makes it easier to brush your dog in hard to reach areas as to brush out tangled fur.